Many financial advisors and agents discourage the need for accident insurance. If you don’t know what accident insurance is, it is simply a plan that will pay you a lump sum (typically) for an accidental injury and accidental death. For instance, if you are skiing and break your leg, a typical accident insurance plan will pay a lump sum benefit for the ambulance ride, the ER, the surgery to fix your broken leg, and potentially for other services such as durable equipment, doctor services, and follow up. The purpose of these policies is to help alleviate the cost of doctor’s services, hospital services, etc. 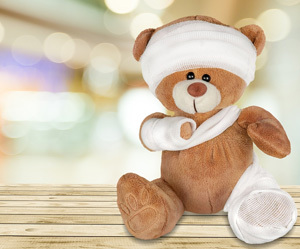 upon an injury due to an accident. It will give you cash that you can use for deductibles, copays, coinsurance or even your daily living. You decide what you want to do with the money. These advisors and agents state that the cost of the accident policy (see below) outweighs the benefits. The policy gets thrown into the “useless insurance” bin like “life insurance on children.” If you read our article on life insurance for children, you understood there are important benefits of having this. Similar to life insurance on children, there are important benefits of an accident policy that these advisors and agents overlook. These tend to be simple policies; however, some are better than others (like any type of insurance). These policies will pay you a lump sum for an injury or death due to an accident. There is a set schedule that the carrier will pay. For example, a broken arm might pay out $1,000 while stitches might pay out $100. Nearly all policies will pay upon the use of an ambulance and ER. Some policies will pay for the use of a non-emergency room as many doctor’s offices have the equipment to treat for broken bones, stitches, and other injuries. A great accident policy will pay you for both on-the-job and off-the-job accidents. It should also not cost a lot of money. We have seen strong accident insurance plans cost about $30 per month for a husband and wife. It is also flexible where the injured person can receive treatment. These policies should also have an expansive schedule of benefits and provide a benefit upon accidental death or dismemberment. Who Can Use An Accident Insurance Policy? You are a first responder, fireman, police officer, etc. The above situations seem to challenge the 1 in 8 probability. In 2013, the medical costs from these accidents were about $220 million (National Safety Council Injury Facts). Medical costs include doctor’s services, hospital and ER services, etc. Interested in an accident insurance policy? Not sure if it makes sense in your situation? At My Family Life Insurance, we have helped many individuals and families determine if an accident policy is what they need.